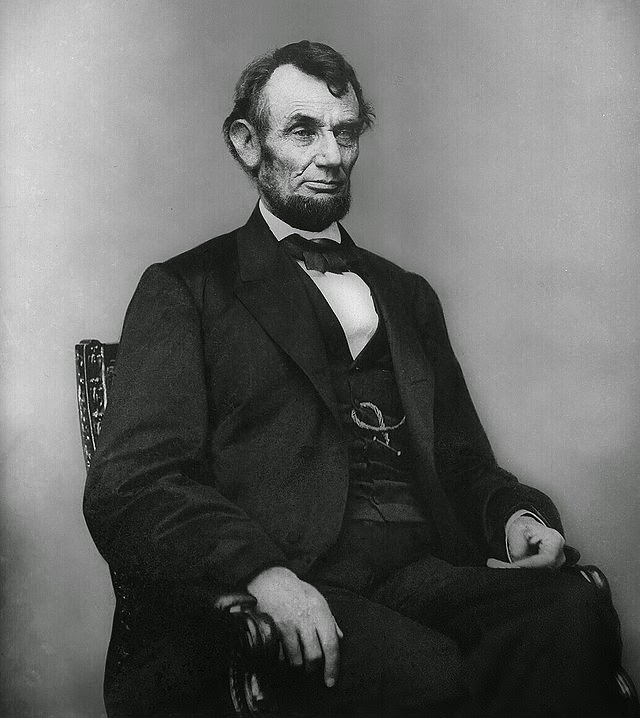 On this day in 1865, American President, Abraham Lincoln, was shot in Ford's Theater while watching a play. He would die the following morning, after remaining in a coma for nine hours. Many people know of this man's life and death in great detail. Most even know about the mental instability of his wife, Mary Todd Lincoln, who was institutionalized for a time after his death. But, few discuss the fact that President Lincoln battled clinical depression and thoughts of suicide his whole life. At the time, it was most commonly referred to as his "melancholy" and was widely accepted by all who knew him. He was known to cry in public, to be gloomy and maudlin during triumphant times, and viewed the world as a very grim place. He had more than one bout of complete mental collapse during which he had to be watched due to becoming temporarily deranged. These collapses would be followed by a deep, unshakable depression which was known to linger for months. This state of melancholy projected onto his public persona, which was viewed as serious, earnest, and stoic. He sought treatment and doctors' counsel on numerous occasions. He experimented routinely with different types of medications. He openly acknowledged his lack of fear in dying, but also spoke of his "irrepressible desire" to accomplish something great while he lived. It was not a frivolous desire, but something powerful which he plainly believed actually gave him the motivation to live, so he could benefit his fellow man. It shaped his course of action about how he would live his life. He sought to improve himself, develop self-understanding of his feeling, and allow the discipline it took to achieve these things to formulate the strategies which would shape the man he wished to be and build the foundations of his character. During an era when there was no real diagnosis for depression, and treatments tended to rely more on ignorance than scientific fact, President Lincoln worked hard to incorporate his life-long struggle into the way he faced life. He worked to stay alive, making conscious choices that led him to develop skills and tricks to overcome. He was infamous for inappropriate stories and jokes told at odd times. He was open about his need to use them, because they helped him laugh which he believed was vital to being able to survive. He let his depression guide him, sometimes rather painfully, as a way to search in himself for the core morals and beliefs which would shape his decisions, and eventually the decisions he made which shaped the very nation he was leading. His determination to survive and not give in to his melancholy, but be open about it, allowed him access to hard earned insights which guided him through tough times. His often creative ways of dealing with his depression gave him an alternate way of looking at complex issues on other subjects, which led to inventive thoughts on how to address them successfully. His acceptance of self, and the depression that was such a part of him, gave him the ability not merely to survive, but thrive. It was a brave choice, at a time when people didn't even realize there was a choice being made. A lot of survivors struggle with depression. Some seek treatment and therapies which are helpful in overcoming the deep valleys involved in their depression. Others live in denial, refusing to believe there is anything which can help. Sadly, many give in to the weight of the darkness and are overcome by it. Fortunately, we live in a more modern time, then President Lincoln, where we have more options for a healthy survival. A world where there is deeper compassion and comprehensive understanding of the struggle. A community of help where we do not have to face the burden and sadness alone. But, we can all learn a lesson from a man who worked to face life with a greater acceptance of self and found creative ways to incorporate his struggles into brave choices. We can all be reminded to breathe brave one inhale at a time. Oh, why should the spirit of mortal be proud!"